Oh to be a 6 year old again, you just live in your own little world and you're still young enough to enjoy the simple things in life. Unfortunately for me when it comes to young children I have "been there done that", so when Microsoft sent me over the code for HAPPY ACTION THEATRE my first reaction was how am I going to review this game properly? It's definitely not an adult game, unless you interact with your kids. The great thing about this is that it's not really a game, but a series of fun interactive scenes which young children instinctively interact with and soon develop their own way of playing. So there is no challenge that can cause frustration and boredom, all they do is pick a level and have fun. I was impressed by the fact that HAPPY ACTION THEATRE kept a 5 and 6 year old totally entertained for over two hours without any whining or moaning, which to a parent is brilliant. It was like having a kid's party in your house but without having to clean up the mess. A game like this would go down a storm at a young kid's party because it's all about having a good time and enjoying the interactivity. Altogether there are 18 different modes to this game and the variety is endless. Ok some modes the boys quickly bored of, but others, like the building smashing and the camera posing modes they kept going back to. The controls are so simple it didn't take them long to work it out, and soon they were picking their own levels and just getting on with it. Remarkably there was no fighting or arguing as they both enjoyed each mode in their own way. Soon enough they began to develop their own method of interacting which is interesting to watch. The menu could get a little frustrating when it kept skipping, but even the boys kept calm and learned to control it rather quickly. 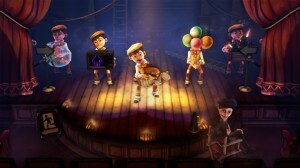 The good thing is the developers DOUBLE FINE deliberately kept it simple so that the kids can develop their own ideas and interactivity, and it works beautifully. The game itself is not a single player one really. It is aimed at younger kids, but there is the adult side in that you can get stuck in with the kids and that makes for an even more pleasurable experience. 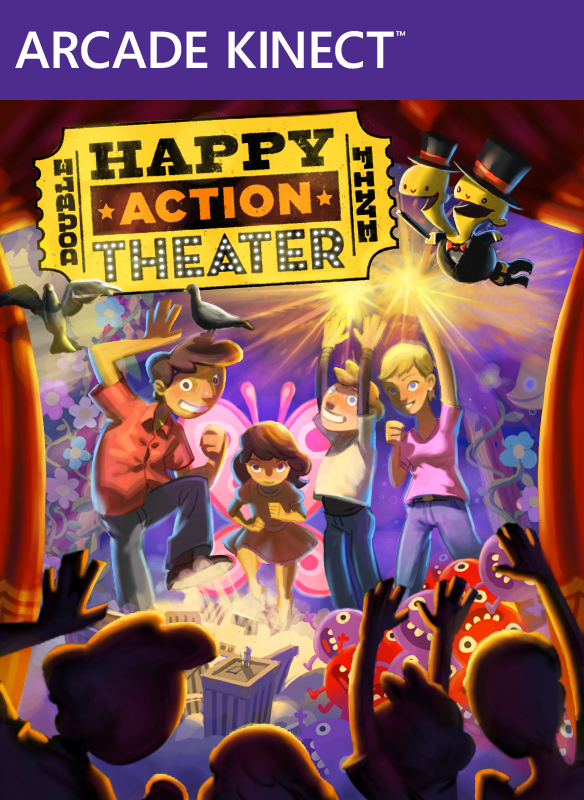 HAPPY ACTION THEATER is a great game (more of an activity than a game really) for young children. But be warned… once they discover the world of the XBOX 360©, there's no turning back! 6 year olds might seem innocent but we all know how quickly they catch on. If you want to take that step forward and introduce your young children to the gaming world, then I can't think of a better introduction than this. 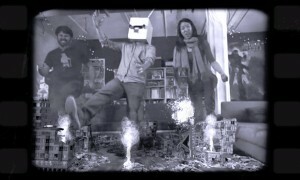 The beauty of the KINECT is that it keeps them active and with this title they can use their imaginations. For the price you can't go wrong with this title, especially on rainy days during school holidays. I give it 9 out of 10 because if you have young children, this is a great way to entertain and challenge their imaginations in a nice way.